Attention fellow carnivores! 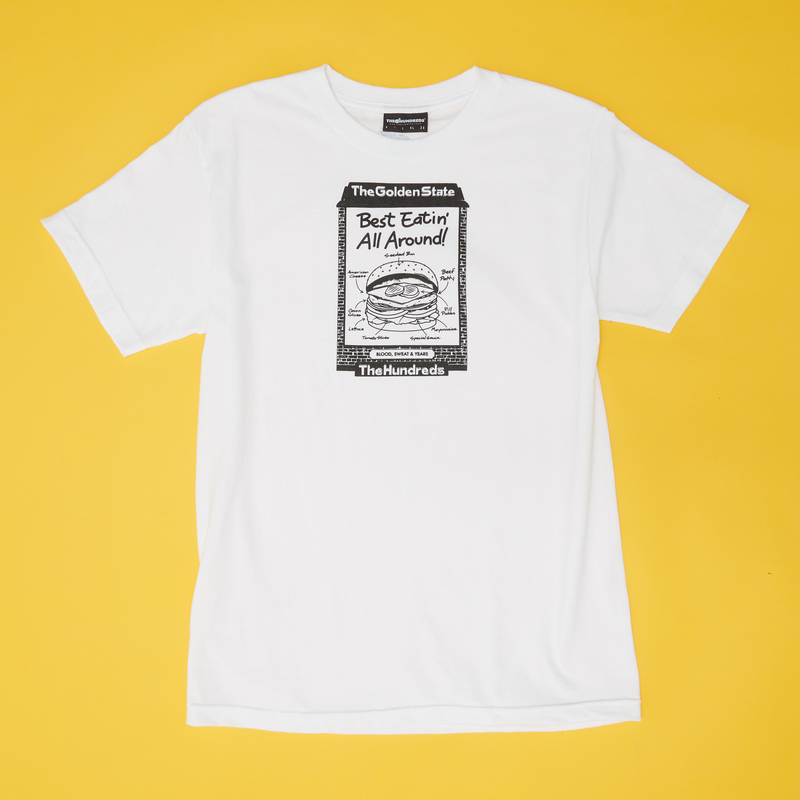 Here’s a collab from The Hundreds you can really sink your teeth into. Tomorrow (March 22), we’re helping The Golden State celebrate their 10th anniversary with a doubly delicious release. 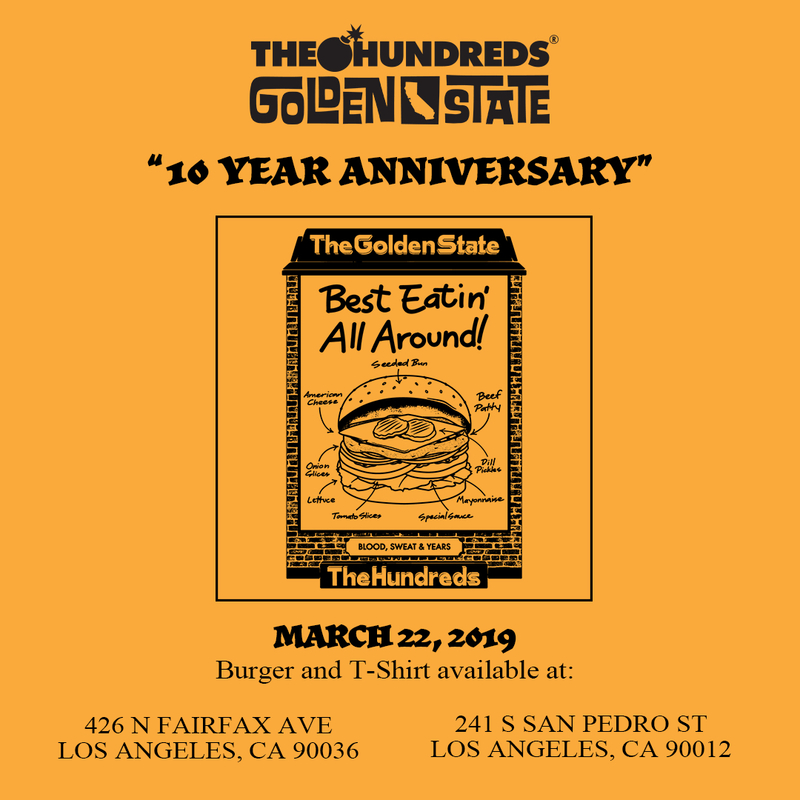 If you’re in Los Angeles, head to either one of The Golden State location to order the extremely limited edition 10 Year Anniversary Burger and T-shirt combo, both designed by The Hundreds. Act fast, because The Hundreds X Golden State Burger collaboration combo is available for one day only. The t-shirt can only be purchased on-site at The Golden State. GOOD BURGER IN 3 MIN.